If you have been dreaming of bringing out a bit of you and your book for the world to see, you have come to a right platform. Just give us a chance to introduce ourselves, and we will let you know how we can help you out. 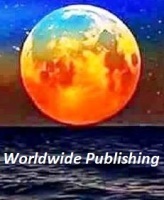 We are a renowned book publisher for new writers. Traditional publishers might not do the job for new author book publishing based on many reasons. For instance, if they feel new book publishing will not worth their time and of course if they find they cannot make an extra buck or two, they will not be interested in being the book publishers for new writers. Traditional publishers are often interested in famous writers not for the new authors. Become a Published Author online!